“Oooooohhhhh.” “Oh, yum.” “This is sinful.” No that wasn’t the audio heard while flipping past the adult pay-per-view channel, but comments from coworkers around the table unknowingly enjoying a gluten free dessert! My first gluten free product review gets an enthusiastic thumbs up…or better yet, enthusiastic fists pounding on the table demanding seconds! I have made this product multiple times for friends and family and have yet to be disappointed. I love that it’s easily accessible in the regular grocery store baking aisle. Family and friends who are thoughtful enough to consider your dietary restrictions while menu planning can make you a dessert without having to enter an intimidating, funny smelling nature store. Four and a half dollars, two eggs, ½ stick of butter, and 30 minutes later you get a rich, gooey chocolate brownie your whole family will love. Unfortunately the price is high for a mix that will only yield an 8”x8”, 9”x9”, or 11”x7” pan of chocolate heaven, but it is definitely in line with the price and size of similar mixes. 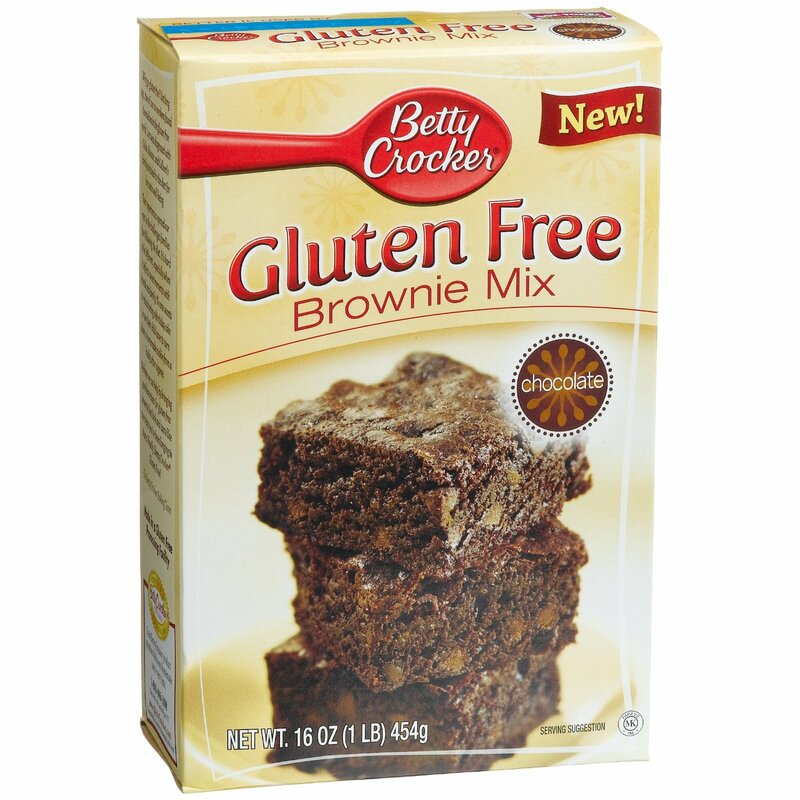 Eating gluten free is not cheap, but being a Betty Crocker® product, you may be able to use coupons found online or in the Sunday ads. If so I suggest making a 2nd batch, cutting it into squares, wrapping it in an emptied frozen pea bag & hiding it in the back of the freezer. You will then be ready for your next chocolate emergency or when you decide to join the rest of the family for dessert. Add a little extra wow factor by topping the brownies with chopped peanut butter cups & caramel sauce while hot out of the oven! (This is the version the girls at work were enjoying!) Fan of the amazing mint chocolate duo? After baking, top with a box of junior mints and return the pan to the warm oven to melt the mints. Swirl with a spatula & let cool! Find more ideas here. This product is made in a dedicated GF processing facility. For those families dealing with multiple food allergies, this mix currently appears to be peanut and tree nut free. It does contain soy (in the chocolate chips), rice and corn ingredients. 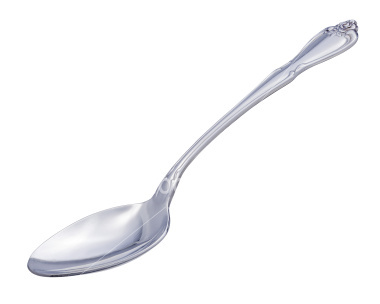 My first gluten free product review gets 5 SPOONS- raised high in the air. 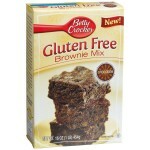 I just tried making the GF Betty Crocker Brownies with 1/4 cup of applesauce for an egg substitute. It was horrible and burnt to my pan. I’m still a beginner at vegan baking, but if I ever try making this again, I might go the flax seed route for the egg substitute! Please use this recipe as it will NOT disappoint you. I am gluten free and my son is vegan. Substitute the two eggs by using Bob’s Red Mill Egg Replacer. Follow directions on package for using 2 eggs and then add warm water to your measuring cup with the egg replacer that you have mixed up to equal a 1/4 of a cup of liquid. This includes your egg replacer and the water to equal 1/4 cup. I have been trying to make good brownies for years with no luck. A couple of weeks ago when I made brownies with the Better Crocker mix and the egg replacer with the added water it came out excellent. My son and I could not believe the results. I tried these tonight and they are AMAZING!!! I would have never guessed that they were gluten free! My husband made some real ones and I made these. I have tried not to eat them all! I added coconut flakes to mine and I love it! I’ve heard applesauce or even a can of soda pop, but would like an actual recipe that’s been tested and true. 😉 Thanks for any assistance! Great job Chelle! I’m gonna try it.